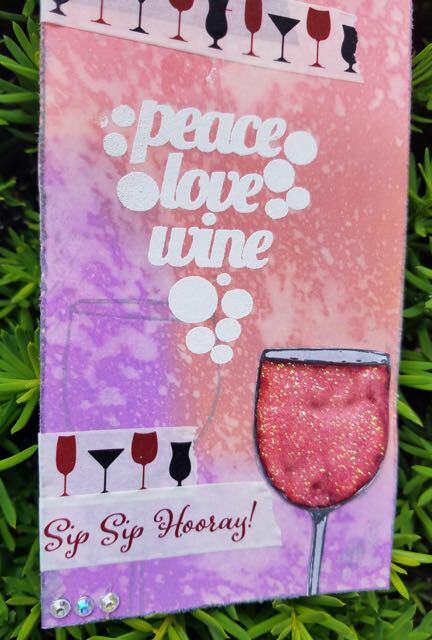 I saw the wine ones in Michael's one day and had to have them. 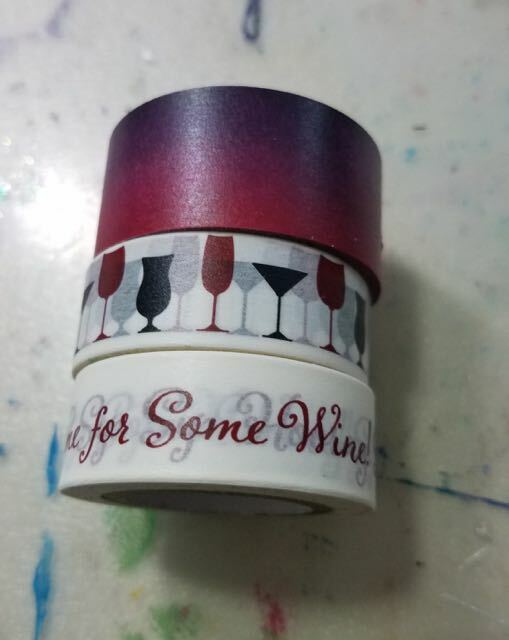 I paired them with the top one from my stash and decided I needed to use them along with some wine themed Unity stamps. 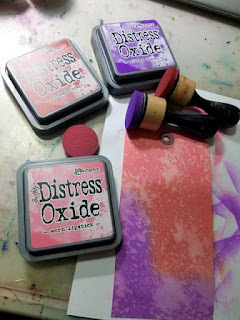 I started with a tag and Distress Oxide Inks. 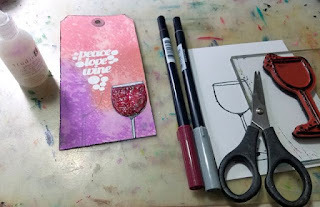 I put down the color using the daubers you see here, then spritz with water to get the oxide effect. I used the Unity Kits: Friends I Can't Forget and a round of cocktails. I stamped the wine glass in distress ink of Shabby Shutters on the bottom of the tag. Using the Misit tool I stamped the sentiment using embossing ink twice then sprinkled on white embossing powder by Recollections. Heat set it. 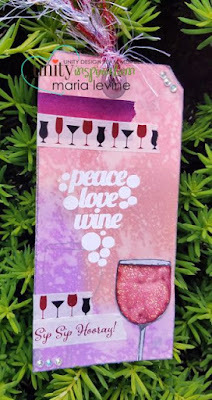 On a white piece of cardstock stamped the glass again using Ranger black archival ink. I colored with some Tombow markers and cut out. Adhered it over on the the stamped wine glasses on the tag and added clear glitter glue. Then I added my washi tape and some bling. Thanks for stopping by! 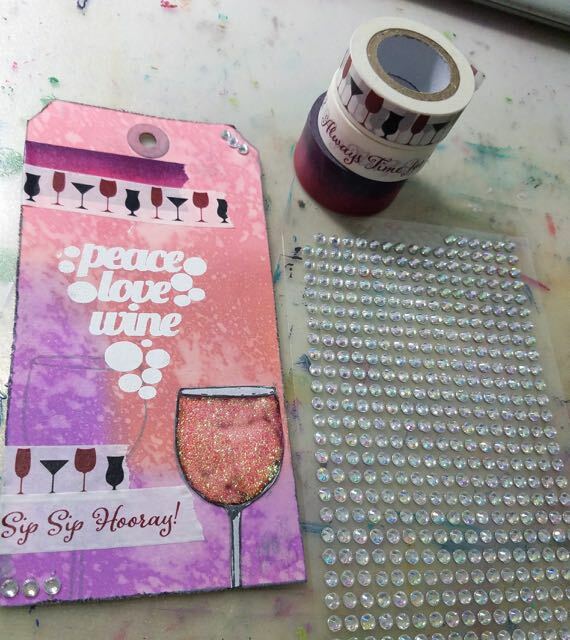 I hope I inspired you in some way to get crafty today!